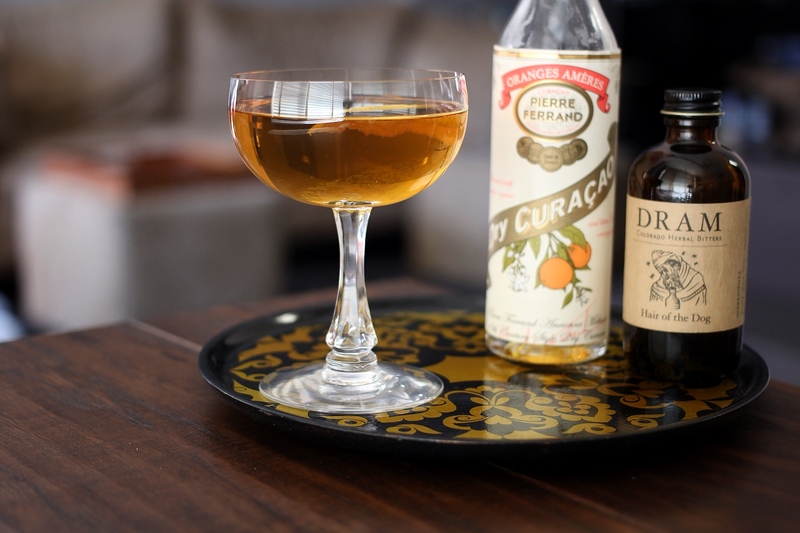 Add the Irish whiskey, Dolin Blanc, dry curaçao and Hair of the Dog bitters to a chilled mixing glass. Add ice and stir until well chilled. Strain into a chilled cocktail glass. Garnish with the lemon twist. Citrus, with hints of anise and sugar cane on the nose. Light and smooth on the tongue, the vermouth and Irish whisky mingle and blend, accented by herbal licorice and citrus from the bitters, while the finish is clean, fresh and crisp. Behind the Times is a variation of the classic Up to Date cocktail. While the original is good stuff, I wanted to make something a little less Manhattan-like. Instead of sherry, the Behind the Times starts with Dolin Blanc vermouth. 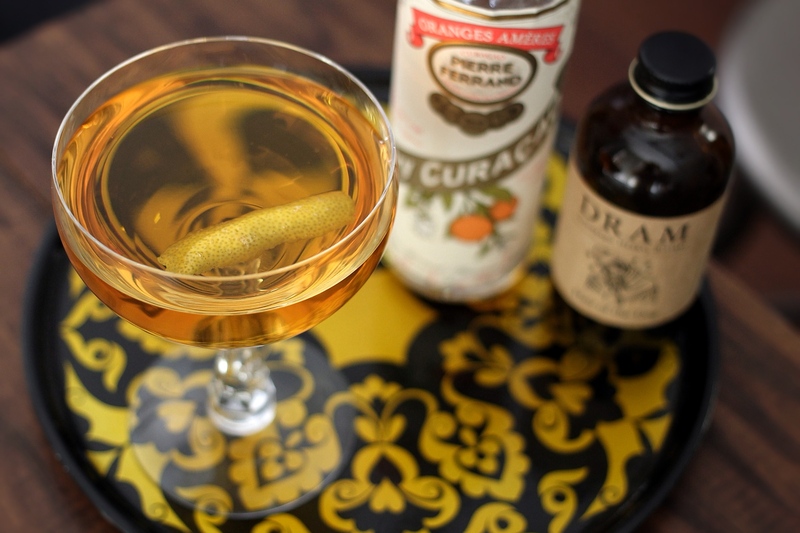 Instead of rich, heavy Grand Marnier, it uses Pierre Ferrand’s Dry Curacao. As for the whiskey, rye was a bit too spicy for this one, so go with something Irish, like Redbreast, to make a much smoother sipper. The drink is finished off with Dram Apothecary Hair of the Dog bitters and a lemon twist. If I were to guess, most of you probably haven’t heard of Dram Apothecary, much less their Hair of the Dog bitters (although they’ve come up a few times on The Straight Up before). These are pretty much Peychaud’s bitters on steroids, with added notes of ginger, herbs, licorice, wintergreen, and citrus. If you don’t have ’em and feel like MacGyvering it, substitute 3 dashes of Peychaud’s and a few drops of Angostura. The results won’t be quite as complex, but it’ll get you in the ballpark. This article also appears over at Serious Eats: Drinks.